The year is 1944 and the Western Allied and Soviet Red Army forces begin their march towards Berlin. In the first of the four campaigns the player guides the Americans beginning from the offensive at the Ardennes. After that the journey of the Russians in Leningrad starts. 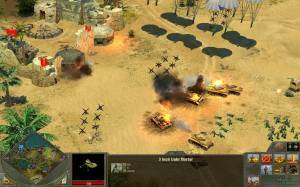 The third campaign features the French Resistance trying to to take back Paris. Since this is a slightly altered universe in which Hitler got killed by Stauffenberg, the player controls the Germans in the fourth campaign. 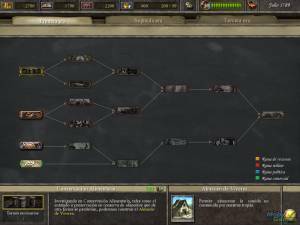 As in other WW II real-time strategy games such as Codename: Panzers - Phase One, all armies feature the usual war machines like the JS-2 or the Königstiger. But there are also some tanks available which were planned but never reached production, like the German tank Maus. The opposing forces are not the real enemy in the game - it's the clock. As the title implies, Berlin needs to be reached fast and every mission has a time limit. If it takes too long to accomplish the objective, the whole war is lost. The time limits are always fair, and there are several side missions in every scenario for which additional time or reinforcements are provided. The most important units on the battlefield are the officers. Over time, they gain new talents which greatly benefit your troops. The Russian politic commissioner for example can raise the bravery of the surrounding troops by giving out more vodka, or the American communications officer lifts the fog of war for a short time. 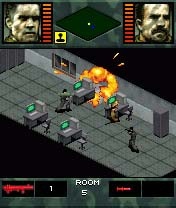 The troops also gain experience and move up the ranks so the player should thoughtfully use them because they can be taken along to the next mission with their experience. On many maps there are factories in which additional tanks can be built. The only resource needed for that is time.